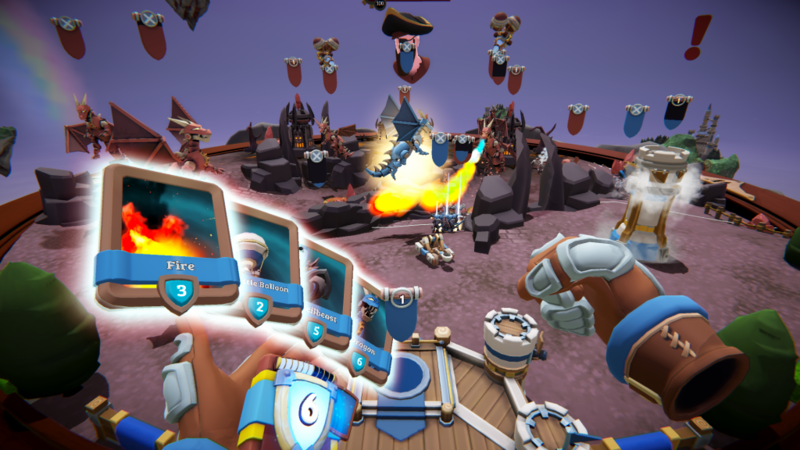 Vertigo Games and VIVE Studios just revealed a new gameplay video for the highly competitive, cross-platform VR card-battler Skyworld: Kingdom Brawl. 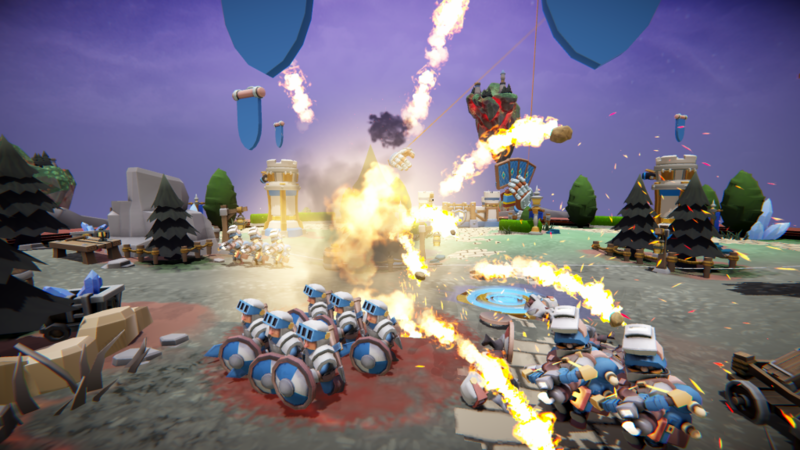 Uniting a wide cross-platform VR player base in battle across the HTC VIVE, the VIVE Focus, Oculus Rift and Windows Mixed Reality, Skyworld: Kingdom Brawl shows off its fast-paced, real-time PvP gameplay in a best-out-of-three brawl. Skyworld: Kingdom Brawl will launch April 2nd in Viveport Infinity, allowing members to download the title as part of their unlimited subscription and battle against friends regardless of their hardware. Shoutcasted by former Machinima producer & eSports ambassador Shayan Tamayo, the gameplay video shows two players going head to head in a best-out-of-three brawl for the glorious title of first Skyworld: Kingdom Brawl Champion. 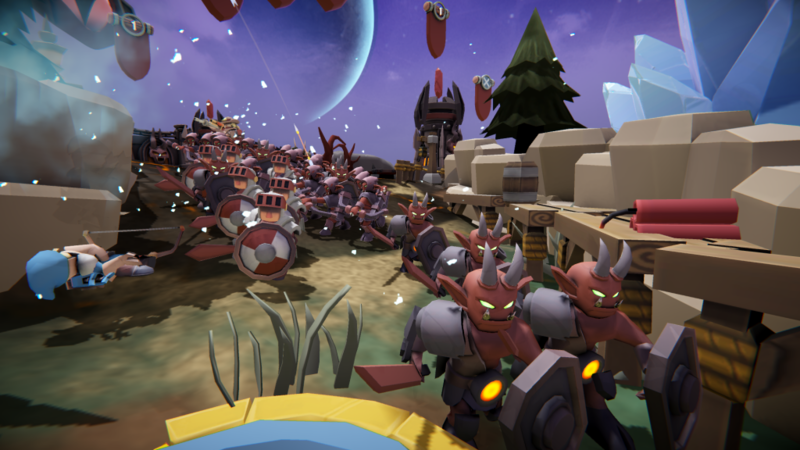 Take an early look at the game’s highly competitive gameplay as two evenly matched players explore and deploy their own intense, real-time tactics. Discover a beautiful selection of 20+ available maps and see in action some of the 50+ available units, from Siege Tanks, Flying Fortresses and Knights to Dragons and Hellbeasts in this exhilarating brawl full of twists. A new challenge will kick off for brawlers worldwide next month as Vertigo Games has joined forces with Virtual Athletics League to roll out a global Skyworld: Kingdom Brawl arcade tournament in late April. A slew of prizes, including an HTC Vive Pro, will be up for grabs for the new champion. Leading up to the events, arcades will be able to participate in a free week from launch day until April 8, allowing them to operate the new PvP game at no cost. Additional details about the tournament and free weekend will be announced soon. Skyworld: Kingdom Brawl launches April 2, 2019, for the HTC VIVE portfolio, Oculus Rift and Windows Mixed Reality headsets at an SRP of $9.99/€9.99 with a 15% launch discount available in launch week only. Skyworld: Kingdom Brawl will also be available in Viveport Infinity at launch, new members can start their free trial today and lock in their current Subscription price through April 1. To stay up to date and for more information, visit the official website and continue to check out the VIVE blog for the newest updates.